A couple of male and female, dark brown and ocher color. 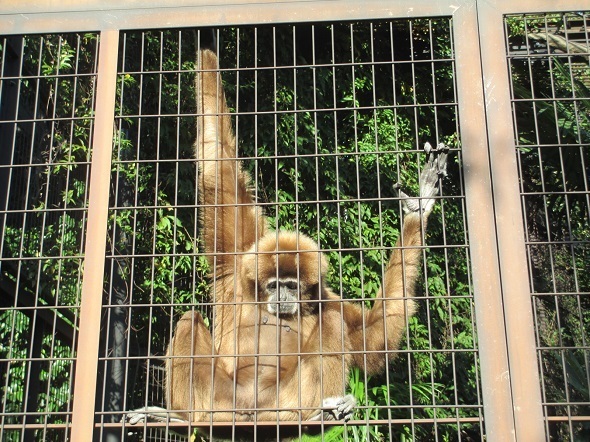 It looks like a gibbon. It may be a thin orangutan. I took these two apes for a walk. but decided to make them arbitrarily among them. Because it is natural to make them do so. Because they are familiar, there is no sign of escape. Suddenly, the two apes raised a bizarre and began copulation. Moreover, somehow a moral style. I do not mean to stop them, but I care about the eye. I hear a speech from the entrance of a nearby house. It is troublesome to find someone with them. I'm limited to escape for the time being. I hide a little away behind the board fence. After a while, two apes appeared from under the board fence. After all they seem to have escaped from humans. which can be seen from the gap under the plate fence.